RDR1 came out eight years ago. It hasn’t even been a full year since Origins. There’s value in making oneself scarce. Did no one at Playground ever get into Euro Truck Simulator? I need turn signals much more than I need to change the camera while driving. This is a good time to mention that I finally got to use Oculus Core 2.0 yesterday and, while I’m glad the new Dash doesn’t pull me out of SteamVR anymore, I can’t believe how much awfulness there is in Home’s new UX. The new avatar editor in particular is dreadful. Signed up for a seasonal championship race. Ended up in a completely different event with only two other players. 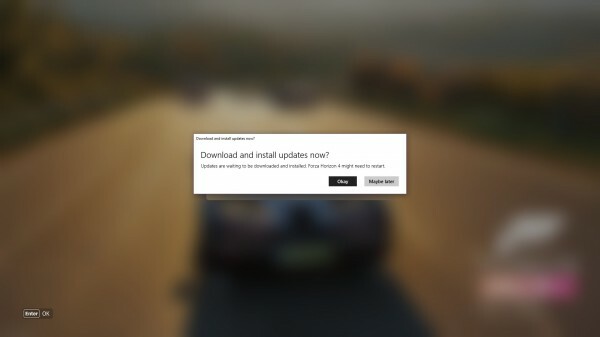 Is Forza Horizon’s multiplayer fucked on PC? And look I’m not one of those people who only want to race supercars but I didn’t buy the game so I could do cross-country races with one other player (of course the third left mid-championship) in a Datsun that won’t go above 130kph.